Waipahu Community Association is having our Neighbor to Neighbor Food Drive in the month of November to help serve our neighbors and families. You can drop off your canned goods or non perishable items at our office, 94-340 Waipahu Depot St., Waipahu, HI 96797 from November 2nd thru November 13th. 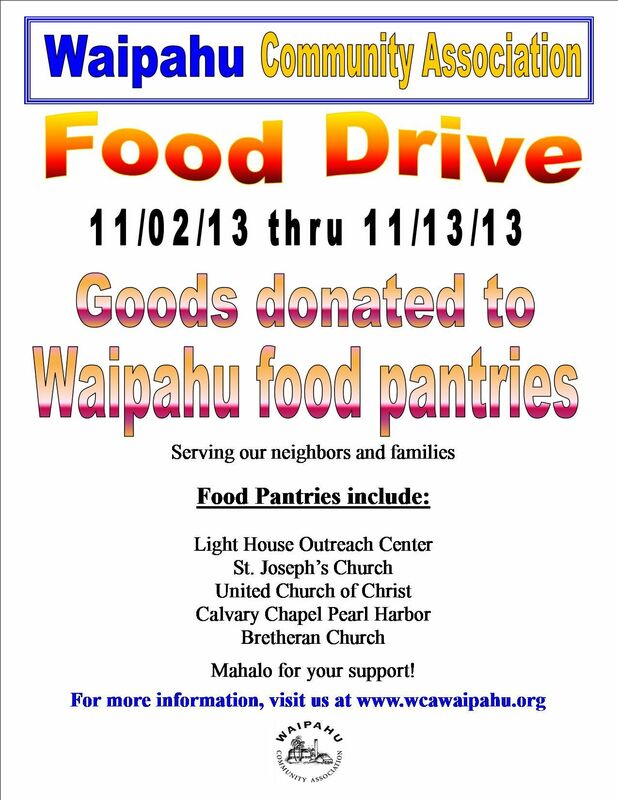 WCA will also be collecting canned foods and non-perishable items at the Taste of Waipahu Event on Saturday, November 2, 2013. These items will be donated to food pantries in the Waipahu area. **In collaboration with the food drive, Vacations Hawaii has sponsored WCA to offer a free drawing for a chance to win a trip for 2 to LAS VEGAS. 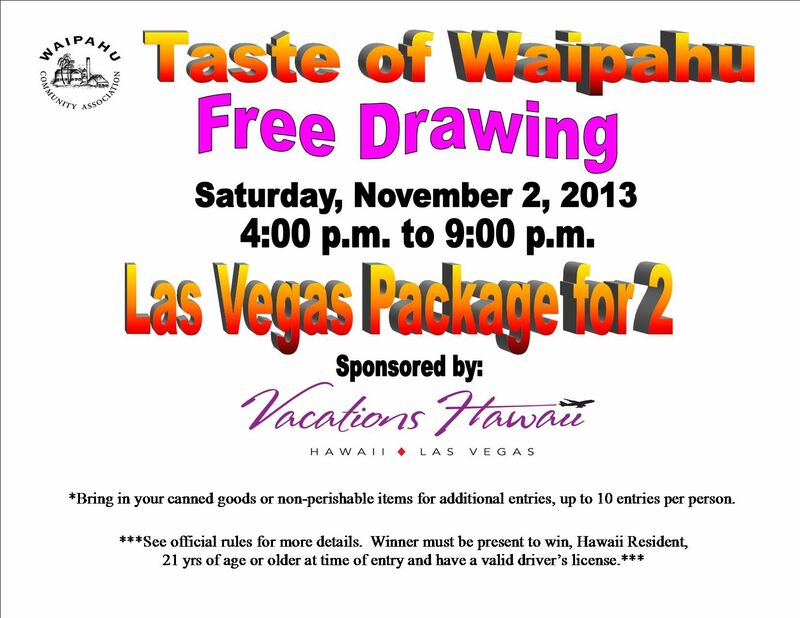 On November 2, 2013 ONLY AT THE TASTE OF WAIPAHU EVENT, if you bring your canned goods or non-perishable items to the WCA tent, we will be giving additional entries for each item brought to our tent, maximum of 10 entries, for a chance to win the trip. The trip will be given away that night. The winner must be present to win, Resident of Hawaii, 21 yrs. of age or older at the time of entry and have a valid driver’s license. See Official Rules/Terms of Conditions for more details at time of registering. For more information on these items, please call 677-6939.